Do you ever have to go through days where you woke up late for a really important meeting, and you only have less than 20 minutes to shower and get ready? I admit that I do have to go through those days, but it was a lot easier when I wasn't a fan of wearing makeup (but being an adult and all, it's kind of necessary to at least look presentable at work). Hehe. Over the weekend Miriam, JQ and I decided to create a fun video incorporating Althea's 10 minutes makeup box. And if you guessed it right, YES, we decided to do a 10 minute make up challenge! But before I show you our challenge, let's see whats in the box. There are 6 items in total, and i personally have to say that the 4 makeup items that are available in the box are really compact making it super convenient to bring around in your handbag or during your travels. I was actually really excited to discover more on the 4D Pore & Balance Solution cleanser as it sounds like it cleanses and hydrates at the same time. The Gerbera Point Pads were a bonus to me for being so pretty and at the same time perfect for urgent moisturising. The trendy 10 Minute Make Up Box by Althea are going for RM129 at the moment (super worth it) and are still available (last checked 20th March 2017). So hurry and get yours if you want this box! First up we have the 4D Pore Balance Foam & Pack which functions as a clay mask and foam to remove makeup and dead skin cells. To use this, all you need to do is apply this around the face in circular motions and let it dry for about 2-3 minutes. Then gently wash the foam off from in an outward movement. Upon trying this out first, it left my skin feeling refreshed and cleansed. I find it pretty cool that it can be used as a leave-on mask too (which I have yet to try it out). Out of everything else in the box, this attracted a lot of attention as the colours were just so bright. If you're in a rush in the morning, this would be your life savior as it replaces your skincare routine. In just 60 seconds, this pad will quickly prepare your skin before you apply makeup. SWEET! I would also like to highlight the fact that it smells like flowers which I found very relaxing. Just a heads up, this would not be recommended to be placed on your eyes or lips. Among everything that was found in the box, I have to say that this was my favourite item! I was told that the Mineral Sugar Blend eyes can be used as eyeshadow, eyebrow and even eyeliner, AMAZING! It comes in 6 shades featuring berry paste, milk berry, whip butter, cocoa powder, brown sugar and choco chip which will guarantee to make my eyes looks super yummy and chic. I love how it's multifunctional and it's easy to bring around as its super compact and it comes with a tiny brush for blending purposes. Last but not least would be the Long Lasting Lip Lacquer in shade #04 Dusty Coral. The box comes in either the shade of Dusty Coral or Burgundy, so the shades are given by luck as you won't know what shade you'll receive. I was kinda hoping to get the Burgundy shade but instead, I was surprised that the Dusty Coral suited my skin tone really well. I'm amazed at the fact that it looks like a lipstick, but to use this, all you need to do is twist the bottom to get the lacquer to come out on the top. Psst, this can be used as a cheek tint too. Now that you know what's in Althea's 10 Minute MakeUp Box, time to watch Miriam, JQ and me in an exciting video we decided to make over the weekend! It was really nice for JQ to have us both on her channel, and I have to say that we had tonnes of fun creating this video. I hope you enjoy the video as much as we enjoyed making it. Teehee! Reputed for their thrilling water rides and home to Malaysia’s Largest Water Ride – Vuvuzela, as well as Malaysia’s Largest Man-made Sandy Surf Beach, Sunway Lagoon will be organising its inaugural fun run known as Aqua Run this 23rd April 2017 (Sunday) at 7.00am! So if youre a running enthusiast or simply looking for a reason to run, why not join this Malaysian fun run happening at Sunway Lagoon next month. The Aqua Run is a 2km concept fun run inside Sunway Lagoon’s compound and will feature 6 exhilarating fun zones! Runners can expect lots of excitement at each fun zone which includes Puddles Mattress, Climb & Slide, Wall Diving, and Water Disco Hut to name a few. Get ready for some splash at all directions! This is truly an event not to be missed. That’s not all! The run will end with a Bubble Music Celebration at the Surf Beach as the grand finale of the event.So get your kids, your family, your partner, and your friends to join this spectacular event! To all the runners, make sure you lock this date into your calendar and do make sure that you come and participate in this fun run which is full with excitement! Wait no more! Purchase your tickets at https://sunwaylagoon.com/aqua-run-2017/. 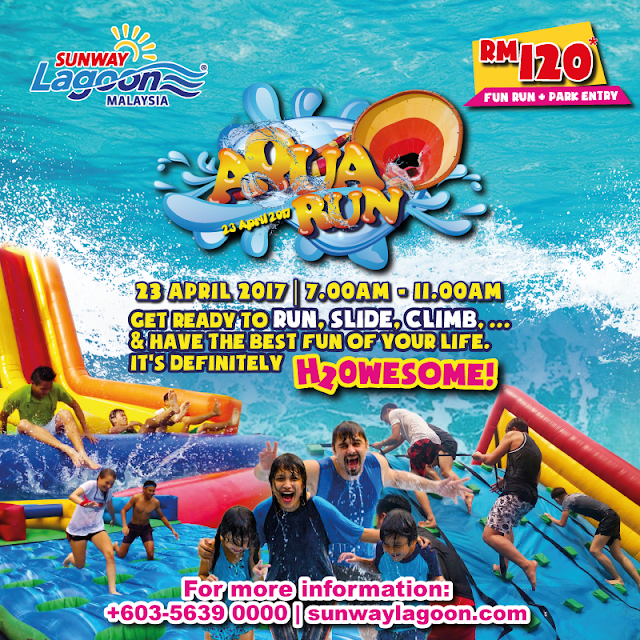 Sunway Lagoon’s Aqua Run package includes entrance to the fun run and park admission ticket to all Sunway Lagoon’s 6 parks at only RM120! Good morning, have y'all are having a good week ahead. If you are looking for customised handmade goods (handmade soaps to be more specific) or just basically anything that's handmade with love, well let me tell you a thing or two about MYC Skincare. MYC Skincare products are 100% vegetarian are very eco-friendly as they minimise as much wastage on packaging as much as possible. Ingredients in making their products have no synthetic chemical and if you're thinking of getting custom made soaps, as door gifts, wedding gifts or simply a gift for someone you care about, it's about time you see what MYC Skincare has to offer. Here I have for review for today's post would be one of their newly launched Basil Mint body soap which I have to say smells heavenly! The bar was personally sent over to me which I think it was really sweet of the talented soap maker to come all the way. The bar soap came with no plastic packaging (super eco-friendly) and it was really cute that it was wrapped in brown paper with a small handwritten note that states the type of bar soap, the weight and the pricing of the soap. It's always good to see handmade items being made entirely handmade cause you'll eventually know that they've taken so much effort to produce this. Anyways, it's always more exciting to find out how these soaps were made and since I had the privilege to get to meet the soapmaker in person she was kind enough to spend some of her time to explain to me. To make the Rustic Basil Mint Soap, the soap maker had to cook the soap batter for almost an hour, with constant supervision (cause we wouldn't want it to be overcooked). The batter is split into half, naturally coloured in each of the portions by Activated Charcoal and Yellow Clay, to make sure its refreshing, cleansing and moisturising. Just the characteristics any bar soap should have! Every purchase you can request to get this for free ! Good news! Thanks to MYC Skincare, they've decided to provide some presents for 4 lucky readers (that's you!). If you love handmade soaps, and if you're a strong supporter towards local Malaysian brands, be sure to join this giveaway like pronto as you may stand a chance to win yourself a trail set of MYC Skincare Handmade Soaps (4 winners)! Now to win this, all you need to do is follow the steps below. 3| Leave a comment below telling me why you deserve to win this and include your name and e-mail. It's that simple! So what are you waiting for? I will be choosing 4 lucky winners for this giveaway, so be sure to leave a legit comment on this blog post telling me why you deserve to win this. The giveaway ends on the 31st of March 2017, and winners will be announced on the 1st of April 2017. JOIN NOW! I wish you all the best and I can't wait to announce to you the winners. Good luck! How time flies. It felt like it was just yesterday we were celebrating new years, and now its already Mid-March. Can someone stop time already? I need a moment to appreciate my youth. LOL! Haven't gotten the time to share with you my CubeCrate haul for February, and who appreciates you better than CubeCrate by surprising you with mysterious gifts? Teehee. CubeCrate is one of the most affordable mysterious subscription box in Malaysia, so if you're excited to find out whats in my 'Valentines Edition' CubeCrate box, than lets wait no longer and find out! Upon unboxing, I found little bits of cut-out hearts in the box which I assume its because its the month of love. I'm sure it took a lot of effort for the team to individually cut out these heart shapes to be added in each of the individual CubeCrate boxes to be sent off to the subscribers. And as usual, the box includes a little note that shares a brief description of where the items in the box are from. This month's mysterious box features Bathday, Candle Nuts, and Aly's The Bakerland. *Psst, if you havent noticed, CubeCrate has recently started an offer where you can collect 6 of the pamplets to claim an additional mystery box. How exciting! First up for review would be an item from Bathday Handmade. Bathday is an online store selling handmade bath and body care products that's based in Malaysia. All products are carefully formulated to ensure an accurate balance of ingredients and are freshly hand made with natural and skin loving ingredients. Just more reasons to love their products! You can also check their facebook page by typing out BathdayHandmade. Here i got myself a Rose Geranium Whipped Body Butter which is something very new to me. I've heard of body butter's but never 'whipped' body butter. Im surprised that the whipped body butter had a texture that almost like whipped cream, which made me felt like a birthday cake when i was applying it around my body. Hehe. I was expecting it to be more buttery, but surprisingly it was very light and it didnt leave any traces of grease. I also love the fact that it made me smell like roses too! Next up would be Candle Nuts by Nadia, which i've previously received some items by them from the previous CubeCrate boxes. I honestly loved their collection of scented palm wax candles, but in this box i received their new product called the Aroma beads. I cant exactly determine what it smells like, but it does smell fragrant. The minute i found out that its aroma beads, i went straight to my closet to hang this up in my closet in hopes that it makes my closet smells nice. Hehe. Check out more of their candles by checking out their instagram at Candle Nuts By Nadia. Alys The Bakerland seems to be a new addition to the CubeCrate family and apparently Alyson (the founder) is a food lover! 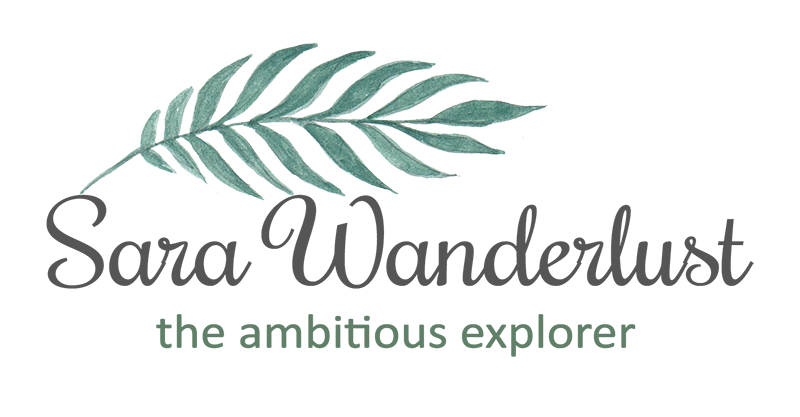 She believes that there are healthier ways of having snacks thus leading her to create yummy snacks with organic ingredients which are free from preservatives, flavourings and refined sugars. And here we have some of her bestselling cornflake Cranberry Cookie to try out. YUMS! The only regret i have after getting a bite of her cookies would be that i wished i had more of it. I love how its just melts in the mouth and the cornflake bits and cranberry just adds texture to the snack. Find more of her heavenly snacks by checking out Alys The Bakerland on facebook. And since this didnt have a feature in the pamplet, im assuming that this is a little gift from Cube Crate Malaysia! Thank you so much CubeCrate I'll take it as a sign that you want me to pamper myself with the very popular MediHeal Line Friends Aquaring Ampoule Mask. Its just what i need after a long month of getting myself out and about (and i admit that it was exhausting). Thank you! If you happen to want to subscribe to CubeCrate's subscription plan, be sure to head on over to Cube Crate Malaysia's website to see what plan they offer. In case you're wondering, each CubeCrate box is priced at RM35. Don't we all love music? Imagine a telco-line that give you just that. XOX Mobile and Universal Music Malaysia have formed a first-of-its-kind partnership to deliver innovative digital music content as part of XOX Mobile's focus to reward their loyal subscribers. This is the first collaboration that Universal Music Malaysia has considered throughout South East Asia making it a huge occasion to celebrate. Find out more about XOX Mobile's by reading more deets below. With this post being out, it means that the ONEXOX Universal Music Starter pack (a.k.a ONEMUSIC Edition Starter Pack) has been launched together with ONEXOX Friends MTV VJ and singer Fazura, pop-rock group Bunkface and popular singing & acting duo ThomasJack. The ONEMUSIC Edition Starter Pack will give you unparalleled access to digital music and music showcases. This includes special ticket offers, artists merchandise and exclusive experiences of meet and greets, up-close encounters with local and international artists within the Universal Music family. I don't know about you, but if you ask me, this would be an opportunity to take if you're fans of any celebrity under Universal Music. This would be a dream to music lovers as the ONEMUSIC Edition Started Pack includes special offers on concert and showcase tickets organised by Universal Music Malaysia as well as attractive discount deals on their products at selected CD-Rama outlets and Lazada. Users will also be invited to artist workshops and flyaways, along with first-hand exclusivity on all their latest updates, upcoming concerts and pre-release purchases. SAY WHAT?! Yes, even I'm excited! During the launch, I also heard that if you're a fan of Fazura, you can score yourself an exclusive date with her too. Who knows you might end up being best friends with your favourite celebrity? The ONEMUSIC Edition Starter Pack can be purchased via www.xox.com.my with free delivery nationwide and via Universal Music Malaysia's distribution channels. Sharing a little personal perspective, the XOX Mobile is catered to those who are young at heart, and getting younger despite time moving forward. XOX Mobile believes that digital content is important and their digital platform would be a channel of delivery for the subscribers. With the ONEMUSIC Edition Starter Pack, subscribers will enjoy exciting money can't buy experiences with Universal Music artist much like when selected XOX MOBILE subscribers were given the opportunity to play in a futsal tournament with the members of Bunkface in conjunction with the band's 10th-anniversary concert last year. (Not that you get the chance to do that on a regular day). These experiences will give music lovers and fans a chance to connect directly with their favourite musicians by giving special access and privileges to Universal Music's stellar line-up of artists. Be sure to check out www.xox.com.my for more deets and for money can't buy offers. A few of my blogger friends are on it and honestly, i've been getting a lot of feedbacks that their line coverage is good. So if you're looking to be constantly connected to the digital world, and tired of slow data being in the way, I think it's about time you change to the XOX mobile for some exciting experiences. Moving in a fast-paced world, we all have our dream role-models to keep up with that we unintentionally tend to forget to be ourselves. This leading Suntory Beverages and Food Malaysia Sdn Bhd to call all Malaysians to release the true you in their new Sparkling Ribena BeMe Campaign. In today's era, we have to face many pressures and expectations in life to conform to social expectations that lead to often little time or opportunity to simply be ourselves. Won't you agree? Even I have days when I'm down in the dumps when I don't reach the expectation to my peers, but that's what the BeMe campaign is all about, it's about time you give yourself a chance to be yourself. Believe it or not, popular local singer-songwriter Elizabeth Tan was also introduced as the new Sparkling Ribena Ambassador at the event where she performed the Sparkling Ribena BeMe Campaign official song which attendees were lucky enough to see her sing live on stage. In conjunction with the campaign, Elizabeth Tan shared her experience where she finds joy in embracing her priceless BeMe moments. "Over the years, I have always believed that I express myself best in songs by staying true to myself and my break came as a result of embracing my very own musical style," said Elizabeth Tan. As part of the Sparkling Ribena BeMe Campaign, a combi van will be cruising around the streets of Kuala Lumpur and Petaling Jaya to encourage Malaysians to unleash their inner personalities. Elizabeth will also be sharing some of her many BeME moments online and will be appearing in 3 Sparkling Ribena Videos which will go live by the end of March 2017. Be sure to keep yourself updated by following the campaign through Ribena Malaysia Facebook page. I think a good example of my BeMe moment would be when I'm singing out loud when I'm stuck in traffic and in the car alone. LOL. Do share with me your BeMe moments too as I would love to know what the true you loves to do. Hehe. The Sparkling Ribena can is currently retailing at a recommended price of RM2.20 and is available at hypermarkets, supermarkets, mini markets and convenience stores/kiosk nationwide.